The official Grit and Pearl vehicle. Richard and Martin from Grit and pearl starting to assemble horns. 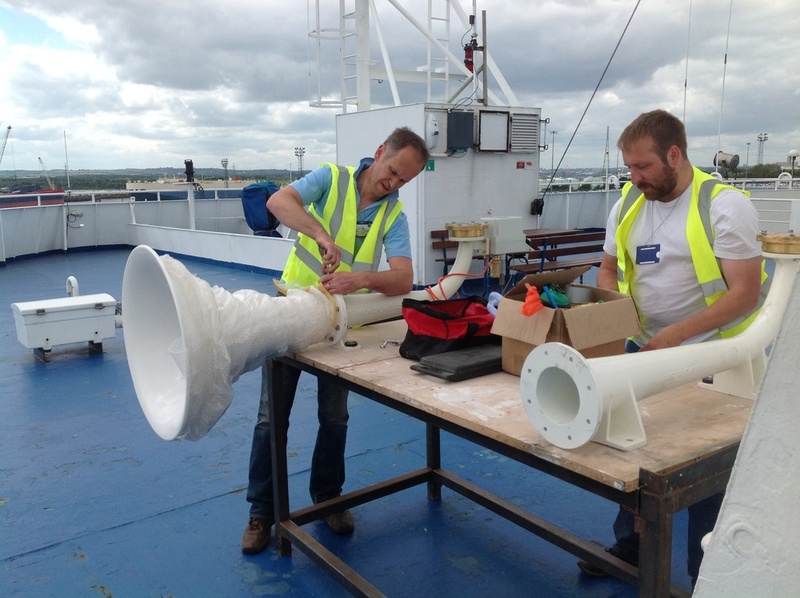 Richard, Martin and DFDS chief engineer Mikael Benzon discuss hoses. 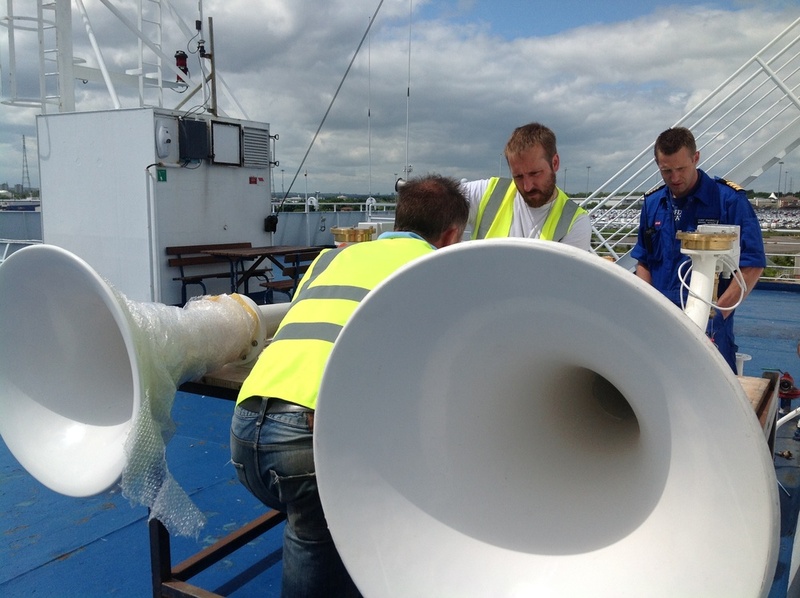 The DFDS ferry, which will be using its own horns as well as carrying some of our largest tuned horns is only in dock every couple of days, so we're installing the Kockums horns today. 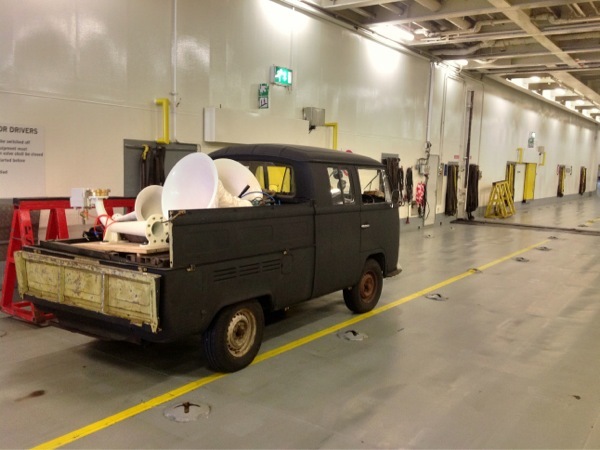 We're going to be dropping off horns at various ships over the next week, and then on the morning of the show we will be running around like crazy people doing final tuning of the horns and installing the control boxes that will drive the ships horns. It's a difficult balance - we want to have our horns distributed between as many ships as possible, but the more ships we have to deal with on the morning of the show the more crazy it's going to be. Every single horn will need to be re-tuned once it's in position, and all of the electronics, computers and air supplies have to be tested and set up - all in the space of a few hours. Posted on June 14, 2013 by Joshua Portway.